Which One is the Best for Business? You can find best business solutions of Regions Bank below and compare of business credit cards products. We provided best Regions Bank business credit cards for you on this page. We also recommend you to check reviews of those cards. Both cards have 0% APR for the first 6 months. There are two Regions bank business credit cards. One of those is Regions Visa Business… This credit card offering reasonable interest rates depends on creditworthiness. However it doesn’t offer any rewards points for their users. Regions Visa Business Enhanced is another option for businesses. When it is compared with Visa Business, it has a little bit higher interest rates. Unlike Visa Business, the card is also offering 1 rewards point for $1. There are no annual fee for both cards. Foreign transaction fee is 3% of the purchase you made. Other features of the both cards are equal as we have shown in the table above. Also see personal cards of Regions Bank. 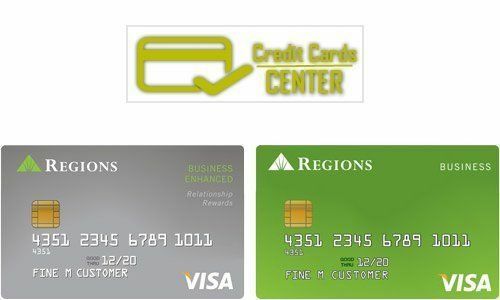 Both cards have similar features, however if you are planning to spend much with your card, Regions Visa Business Enhanced can be a good option for you since there is rewards points system in the card. If you think that interest rate is important for your business cards, Visa Business will be the good choice. You can click on Apply buttons in the table for applying the credit card. We also recommend you to call the bank or contact to live chat of the bank before the application. A professional banker staff of the bank can also give you more details about the application. They do not offer any bonus for business cards? They had a promotion in Nov. It seems you missed it.